Specially made for our girlfriend's newborn princess, little princess has a really sweet name called Tiara. So I thought of calling this Baby Tiara clippy. 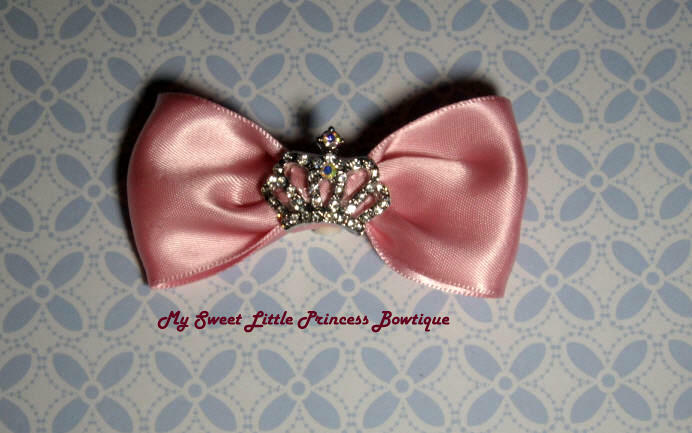 This is a mini satin bow just 2 inch wide, the crown is only 1 inch wide and is really sparkling and shiny. This lovely crown is specially imported from Korea.